Although we perform projects of all sizes and complexities, we’re not the common remodeling contractor. 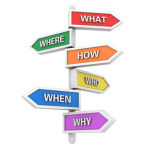 Our clientele appreciate the inherent accountability of a managed process. Scripting is the process of developing all the details necessary to perform without further input from the homeowners once the construction process has begun. The script documents include the approved set of drawings, scope of work and material specifications. These documents vary in detail depending on the size and compleixty of the project. 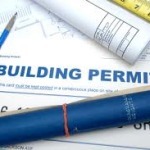 If a building permit is required, it is included as part of the script. Production edits may result from jurisdictional code requirements from the permitting and inspection processes. In some cases, the script may be presented as a simple proposal. In all cases, the production schedule is not part of the script. Rather it sets expectations for the timeline of the production process. Before construction actually begins, the Location Manager is introduced to the structure and its occupants. This is kind of like a rehearsal for the production phase and it is an important step in the planning, sourcing and logistics. The pre-production meeting follows a checklist which accounts for general and specific details of the project. If your home was going in for surgery, this would be its pre-op. This phase may also include a pre-construction meeting with the jurisdictional building inspector. The pre-con meeting is generally scheduled according to the scope of the project. For smaller projects, it may be 1 or 3 days in advance. For larger projects, it may be a week or more in advance to ensure proper coordination of the construction process. Conference room with director’s chairs.